For the first time since Patrick Reed's post-Ryder Cup comments criticizing some of Captain Jim Furyk's decisions, Furyk has shed some light on the thought process that went into some of the pairings. Sitting down with Golf Channel's Tim Rosaforte, Furyk said the idea to split up the successful Jordan Spieth-Reed pairing stemmed from Tiger Woods's emergence. When it became clear Woods's play was good enough to deserve a captain's pick, Furyk said he then started to think of players Woods would pair well with. He kept coming back to Reed. 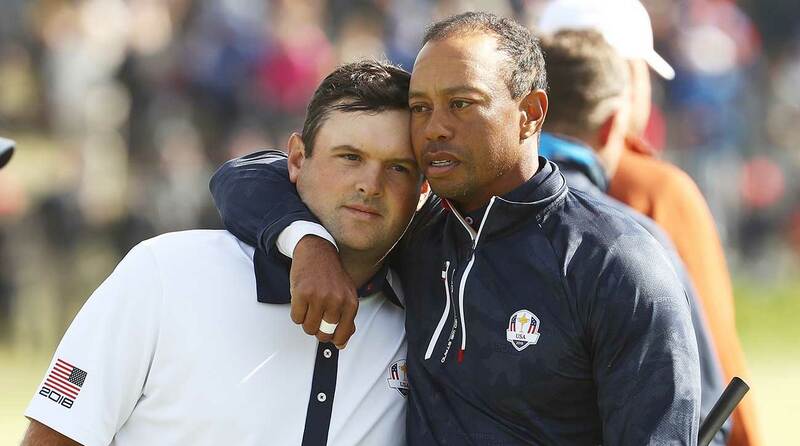 Pairing Woods with Reed, however, meant that the Americans' stout Reed-Spieth duo would split. Reed told The New York Times hours after the Ryder Cup ended that it was obvious Spieth didn't want to play with him. "[Reed and Woods] had such a great relationship as Tiger as a vice captain and Patrick as a player [at Hazeltine in 2016] and Patrick played so well while he was in that role," Furyk said. "Tiger's been a little bit of a mentor to him in many ways. They get along very well so I thought it would be very good for Patrick to have Tiger as a partner, but I also thought Patrick would provide a lot for Tiger as well. It wasn't as much as putting Jordan and [Justin Thomas] together as it was I really wanted Patrick and Tiger to be partners. I wanted that relationship. There was always the idea that we could go Tiger and [Justin Thomas], and Patrick and Jordan, but ultimately they knew going into the week, weeks in advance, they knew they would start the Ryder Cup with Patrick and Tiger being partners." Furyk said he put a lot of thought into splitting up Spieth and Reed. He said he discussed it with his vice captains but ultimately it was his call and that he was satisfied to get "two great pairings" out of it. Thomas and Spieth were 3-1 together, and Woods and Reed went 0-2. Reed and Woods lost both of their matches at Le Golf National. Reed told The Times he had no say in the pairings, but Furyk said otherwise. "All four players knew who they would be playing with weeks in advance," Furyk said. "In fact I had a messaging with Patrick a week out from the Ryder Cup. They knew they were going out that first session in fourball, and I think that was a great session for them, and [we talked about] when Patrick felt they should go out in the order one through four." You can watch more in the clip below. Your browser does not support iframes.